The Lords of Creation rule the Nine Worlds through its control of the ultra-advanced technology that has permitted the colonization of the entire solar System. More gods than men, the Lords of Creation have cheated Death itself. But although they rule the solar system with their god-like scientific knowledge, there are even more powerful forces to be feared lurking out in the dark depths of space. And when an unthinkably terrible enemy that rules a vast network of dead stars and planets comes to the Nine Worlds, it falls to them to stop it, though entire worlds may perish. But how can the Lords of Creation hope to stop the nightmarish undead monstrosities when they are bitterly divided by pride, jealousy, and mutual suspicion? 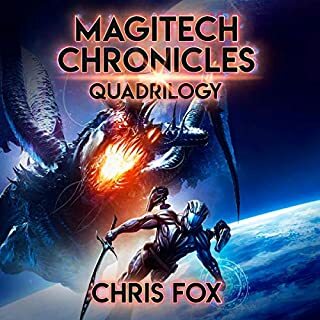 A tour de force of science fiction at its mind-blowing best, Superluminary: The Complete Trilogy consists of The Lords of Creation, book 1; The Space Vampires, book 2; and The World Armada, book 3. This is the latest and most brilliant creation of science fiction grandmaster John C. Wright, the Dragon-award winning author of The Unwithering Realm, The Golden Age, Moth & Cobweb, and Awake in the Night Land. 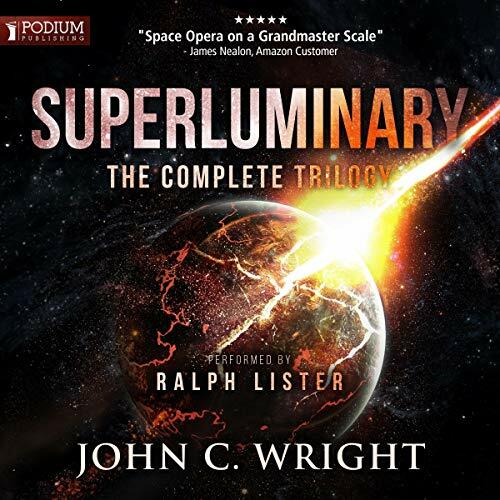 I love me some John C. Wright, so I was pretty thrilled when I found a trilogy of his here on audible. If you're not familiar with Wright, just understand that he tends to write a single rather lengthy story that his publisher then chops into three or more books. Therefore, you never start a series of his without having all the books close at hand - which is why bundling them as a single audiobook is awesome. 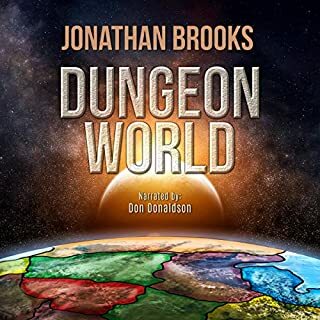 In this omnibus edition, the second book picks up pretty quickly after the first one concludes, and the third comes off the second with barely a hesitation between them. There is little to no "backstory" or recounting of the previous book - the story just continues. And what a story it is! If you've ever read Wright's Golden Age trilogy (which I highly recommend), his visionary imagination just simply outstrips that of most authors. A single chapter of Wright's usually contains more than enough creative ideas or concepts for other authors to write an entire series about. The scale of the story begins with man's solar system, being mainly interplanetary in nature, but by the end the ante has been upped to an interstellar story, spanning multiple star systems and drawing upon sciences that eat entire stars and worlds for fuel. By the second book, when the reader begins to realize that this is essentially a "space vampires" story on steroids, the scale has been raised to include the entirety of the Milky Way Galaxy and a foe whose age is counted in millenia rather than years, decades, or even centuries. With the fate of mankind and all life in the galaxy at stake, and space structures which envelope entire star systems, one might think the maximum has been reached for the scale of the story Wright is to tell - but you would be wrong. 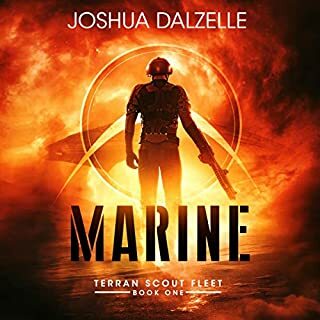 Then comes the third book, which ultimately reaches an intergalactic scale - simply mind-boggling, but a heck of a fun read! Ralph Lister did a really solid job with this narration. In some places I wondered if the characters were coming across as harsher than they should have, but ultimately I think it worked with the nature of the story and the characters therein. He has to toss around crazy sci-fi terminology, but he makes it work, which is a testimony to his ability. 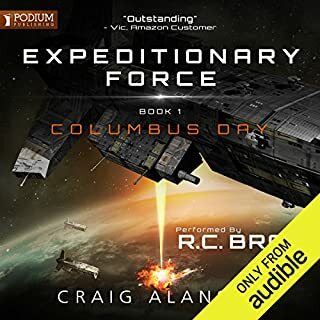 I thought Lister did a fine job and won't hesitate to listen to another book narrated by him. All in all, I found this a fun and intriguing listen. Though the scale is rather epic, Wright keeps it intriguing and interesting by focusing on a few characters and allowing the story to unfold around them. I highly recommend this book to anyone with a taste for space opera or some rather extraordinary science fiction! John C Wright always delivers a well thought out world concept, unique and dense with new and unusual concepts. 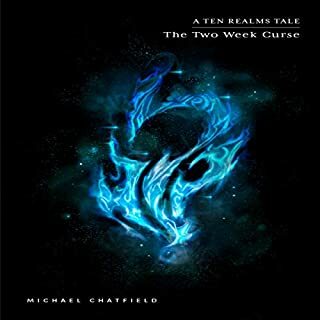 This series delivers a Zelaney -like story of a family each masters of a different superscience with teraformed worlds and deadly family dynamics. I understood about .001% of what was going on, further relistens may bring this up, but it blew my mind. 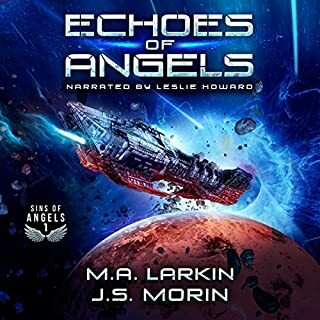 This audiobook is a space opera on the universal scale. I enjoyed it, although I will need to brush up on quantum physics to really get the most out of it. I stop listening 4 acts in. I hope it gets better. After 4 acts still no idea what's going on. I didn't enjoy this. I stop listening 4 acts in.